Barcelona begin a four-month stretch without injured club record signing Ousmane Dembele, but will be expected to sweep aside Eibar to continue their 100 per cent start to La Liga on Tuesday. Cristiano Ronaldo returns from a five-match ban for Real Madrid 24 hours later at home to Real Betis, whilst Atletico Madrid face a daunting trip to Athletic Bilbao. Here, AFP Sports highlights five things to look out for in this midweek’s fifth round of La Liga fixtures. Dembele’s prolonged absence hands Gerard Deulofeu a chance he could only have dreamed about when resigning for his boyhood club in June. At the time Deulofeu was seen as able deputy to back up a front three of Neymar, Lionel Messi and Luis Suarez. But the 23-year-old has already enjoyed over three times as many minutes in his second spell at Barca than his first due to Neymar’s departure and Dembele’s misfortune. Deulofeu now has the chance he craved of a run in the Barca side until the new year and could even cement his place in the Spain squad for next year’s World Cup if he turns his potential into consistent performances. A Suarez was back on the scoresheet for Barca at the weekend, but it was Denis who netted off the bench as Luis endured another 90 minutes to forget. The Uruguayan has scored just once this season having rushed back from an expected month-long knee injury layoff in just two weeks. Suarez looks slow, cumbersome and miles off the player who scored 59 goals two seasons ago. The visit of Eibar could be just what he needs to reboot, though, as he has bagged five in five games against the Basques and scored in all of his last four matches against them. “I hope it is for the last game this season,” said Zinedine Zidane at the prospect of missing Ronaldo for Sunday’s vital 3-1 win at Real Sociedad as the European champions got back to winning ways in La Liga. The World Player of the Year’s “persecution”, as he described his ban, is over as he will be free to make his first league appearance of the season against Betis on Wednesday. His absence was most keenly felt in profligate Madrid displays in dropping points at home to Valencia and Levante. Ronaldo showed Real what they were missing with a double against APOEL Nicosia last midweek. 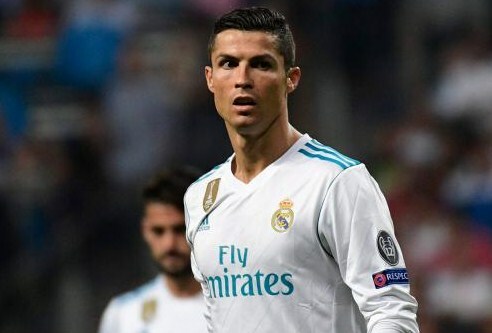 But his enforced absence could yet benefit Madrid as it did last season when a delayed start to the campaign through injury meant a fresher Ronaldo hit top form in the final months of the season, scoring 10 goals in the Champions League from the quarter-finals on. A trip to Bilbao is often a litmus test for whether Atletico can mount a serious title challenge. It was after victory at San Mames in their title winning campaign in 2013/14 that Diego Simeone admitted for the first time his side could beat Madrid and Barca to La Liga. Atletico’s unbeaten start to the season will be severely tested over the next week with Sevilla and Chelsea also visiting the Wanda Metropolitano. However, already trailing Barca by four points, Atletico can’t ill afford that gap to grow if they are to maintain hope of a serious title charge. Luis Zubeldia became La Liga’s first managerial casualty of the season after just four games in charge of Alaves without a point or even a goal. Malaga are the only other side yet to register a point and Michel could be next to go with another defeat at Valencia on Tuesday. Pepe Mel’s position at Deportivo la Coruna is also in danger should the Galicians fail to get their first win of the season by inflicting more pain on Alaves.